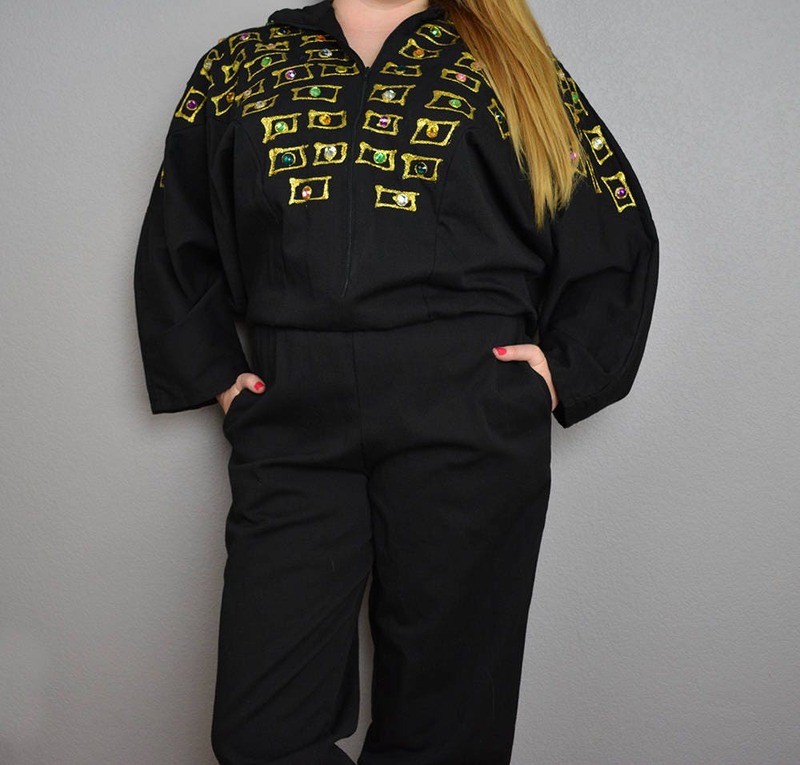 Wild and fun 80s puff paint bedazzled jumpsuit for sale. 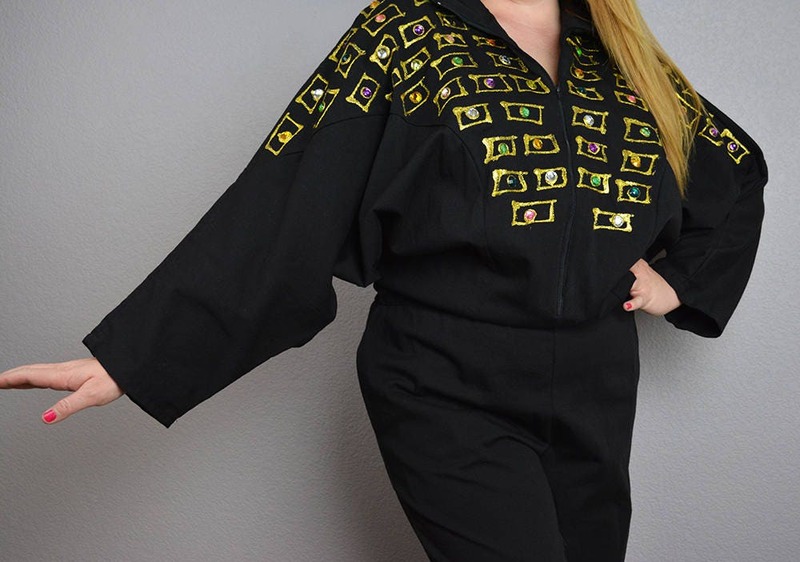 This is black with gold puff paint and multicolor rhinestones. In very good vintage condition. 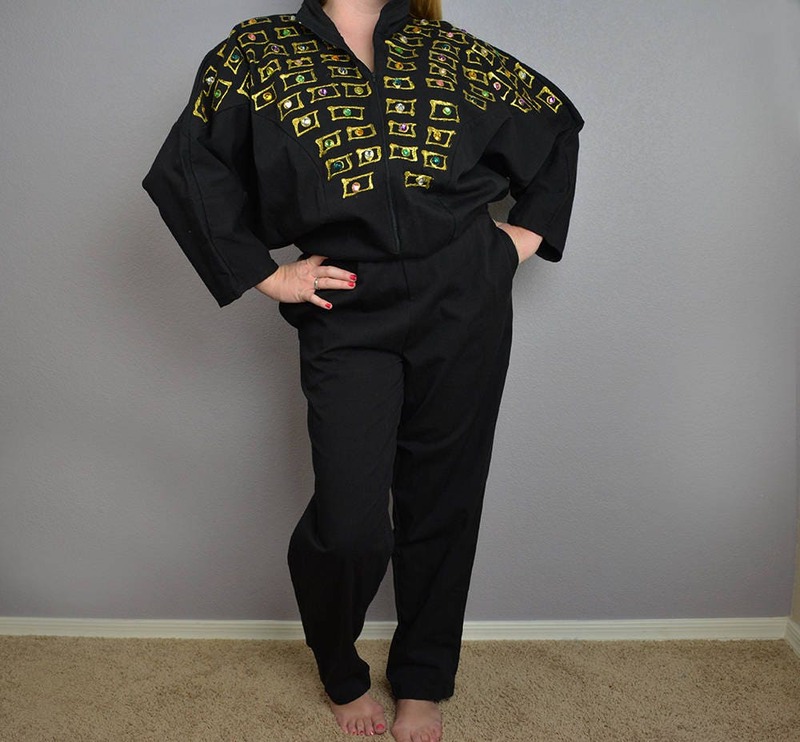 The waist is elastic and the sleeves are a wide batwing style. When all zipped up the collar is mock neck. Very dramatic and cool piece! A standout for sure. Size: Medium. Although I think it fits more like a large. Please refer to the measurements to ensure desired fit. 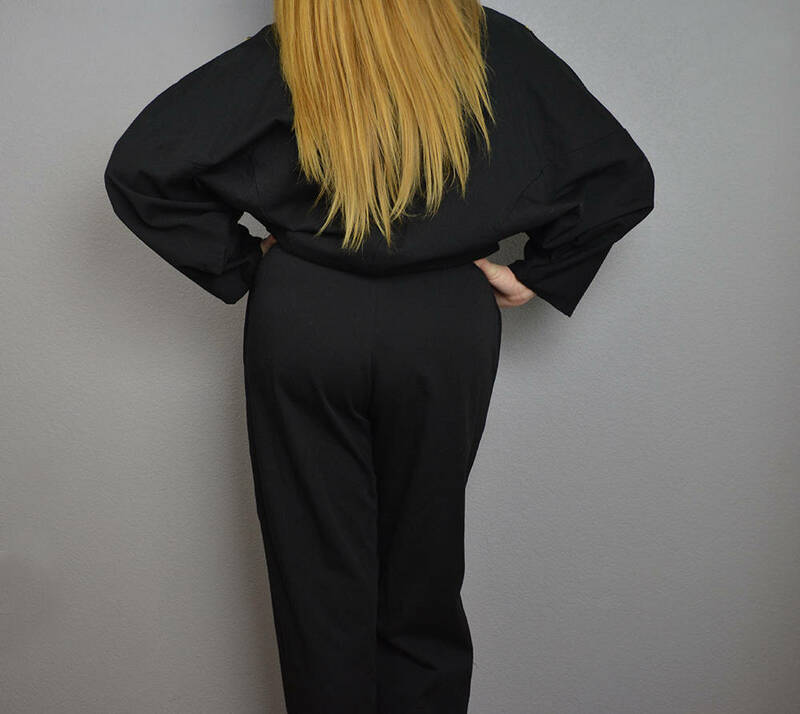 Length: 63 inches when it is all laid out flat, but when worn the top folds over the waistband a little so it will shrink up a few inches when worn if you wear it that way like shown in the photos. 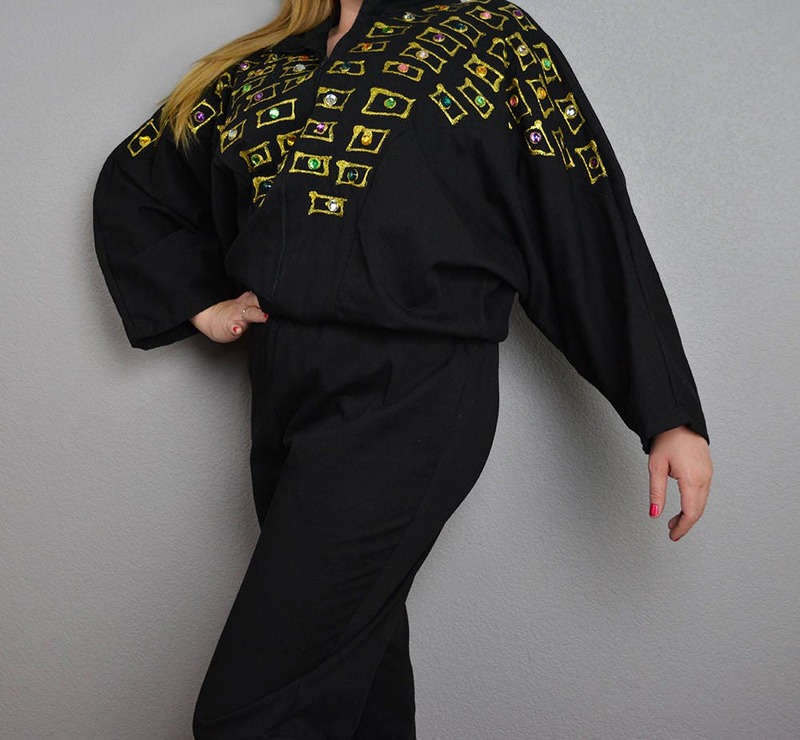 The model is 5' 4" for reference.